MOUNTS – We offer a large selection of quality mounts for LCD and plasma devices on favorable terms. Ask us about our current prices. We will promptly respond with an individual, no obligation quote. ADVERTISING PILLAR – with an elegant design and extensive technical facilities are an eye catcher for your customers. The effortless maintenance and establishment of the stelae saves you time and money. Place multimedia presentation pillars at busy points such as, for example, in the entrance hall or any customer area. Present your company, products or services with customized advertising pillars. We manufacture the steles of different sizes and colors to match your business. 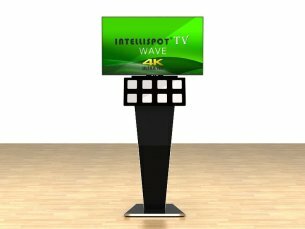 IntelliSpot’s portfolio of high-quality commercial- and professional-grade digital video wall solutions are ideal for dynamic digital signage and informational video wall applications. 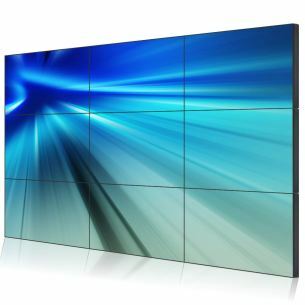 The exclusive technologies, combined with LED backlighting, high definition resolution and the ultra-narrow bezels, allow for simple installation and bright, astonishing video walls. MONITORS – Modern presentation equipment for your concepts. Whether at airports, hotels, in waiting rooms or in shopping centers – visual control systems show us the way more and more often, thus increasingly replacing the classic signs. Electronic information display systems inform and entertain us in the tram, at the train station or on escalators and are often accompanied by commercials or short messages. When it comes to the use of digital media content information and advertising purposes, we speak of digital signage. 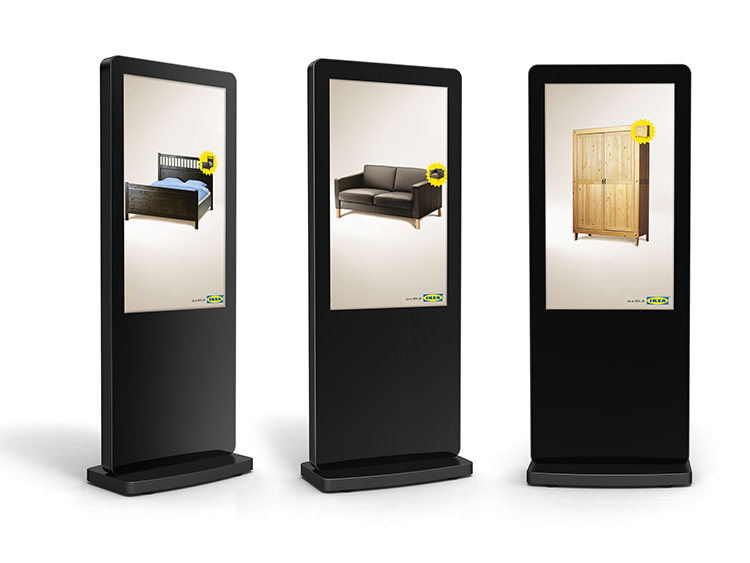 The product range of the IntelliSpot group includes a variety of digital signage solutions with broader capabilities.